This method works well overseas. Myself and David Horne are hoping to shut the number three in front of an iron mad crowd at the OHF dinner on the 17th. You can also do the same at Pullum Sports in Luton, Bedfordshire. UK. One of the guests at the OHF will be Dave Webster and they also have a digital video, so you can have still shots to send via email along with a snail mail letter of confirmation. Lets get 21st C! Interests:Basketball, armwrestling, COC, other grip stuff. I beleive you can get certified in any country. We have members in Germany and Japan that are certified. With the credit card rule, is it the long end, or the thin end of the card? Or or to put it another way the side that runs parallel with the printing, or the side that's perpendicular? It is the width. A bit over 2 inches. in a bunch of the videos we see of people closing the #3, its show them assist the gripper closed with their opposite hand and then they hold it closed for around 8 seconds. whats this about? when people use their opposite hand to assist the close of the gripper, it is called a set. most of the guys i have seen do it to approximately parallel, allowing their fingers to become wrapped around the gripper handle. they then proceed to mash the gripper handles together, emphasizing the crush, displaying that they have mad control over the gripper, and using it as an overcrush. 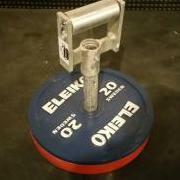 They will refer you to a gym or person in your area that can serve as a credible witness to you closing the #3 gripper. Your witness needs to sign a letter stating that they saw you close the #3 gripper with one hand, without assistance from any other part of the body, and that the gripper handles touched completely. Curious for who refer in Poland ? I live in COsta Rica, Central America, currently I am repping 2-3 times my CoC #3 and I want to become certified, also I want to know how can get MM #1. Hi pablex.......well once you get certified for closing you coc#3 you will automatically be qualified as a MM1, or at least that is what I have read on there web site. As far as you getting certified on the coc3 have you tried calling the number provided on the very first post? They would probably be able and help you get things going. Keep crushing! Maybe a clarification here. If you want to get certified on the #3, you contact Ironmind. If you want to get certified on the MM1, you sign up here at the board. The two certifications are not tied together in any way. You can read more about the Mash Monster process in the Mash Monster sub-forum. hi, how to we get the title of MM0 here on the board?